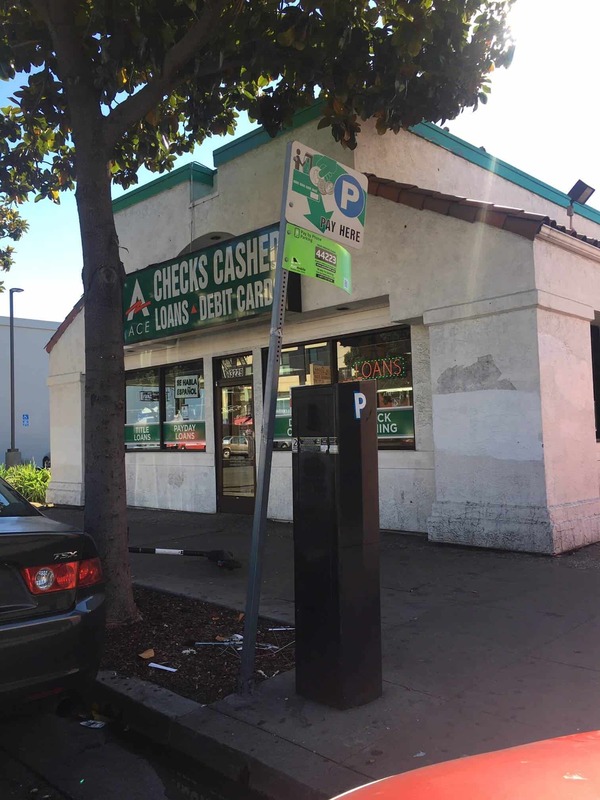 This freestanding ACE store is situated at the corner of International Blvd (E 14th St) and Fruitvale Ave. As this location is its own free-standing entity, there should be a convenient amount of parking available. The AC Transit Bus lines #1, #20, #39, #90, #339, and #801 all have a stop at Intl. Blvd: Fruitvale Av. Check the transit authority’s website for schedules and listings. If you’re hungry, this location neighbors Little Caesars, Domino’s, Quickly, Churros Mexicanos, The Half Orange, and Subway. Get an Auto Title Loan Powered by LoanMart in Oakland! Oakland residents looking for extra funds that are quick and affordable may benefit greatly from considering an auto title loan powered by LoanMart. Apply today, and a person may qualify to receive as much as $30,0001 in as little as one business day3. They’ll use a resident’s free-and-clear vehicle title as collateral to provide them with the money they need if they qualify, and typically have between 12 to 48 months to complete a series of reasonable monthly payments. Prepayment with zero penalty fees5. Get funded in as little as the next business day3. All credit types encouraged to apply. Refinance an existing auto title loan. Call their toll-free number to speak to an experienced agent, submit an information request form on the site, or even go to the ACE Cash Express location in Oakland! Provide the required documents for verification. Once qualified, sign the loan agreement and collect those funds! Oakland residents can get quick funding in as little as one day3 if they qualify!